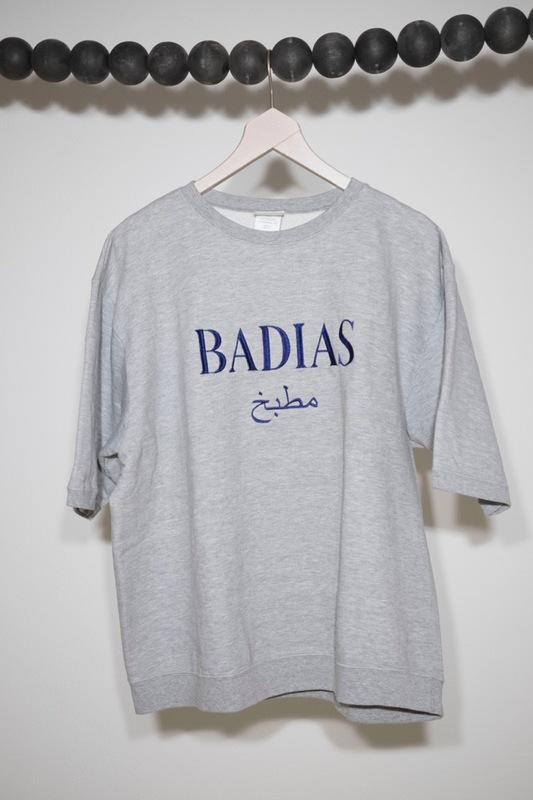 Heather grey short-sleeve Sweatshirt by BADIAS. 100% cotton, round neck, embroidered blue BADIAS Kitchen logo in front, loose fit. Designed and hand made in Germany. 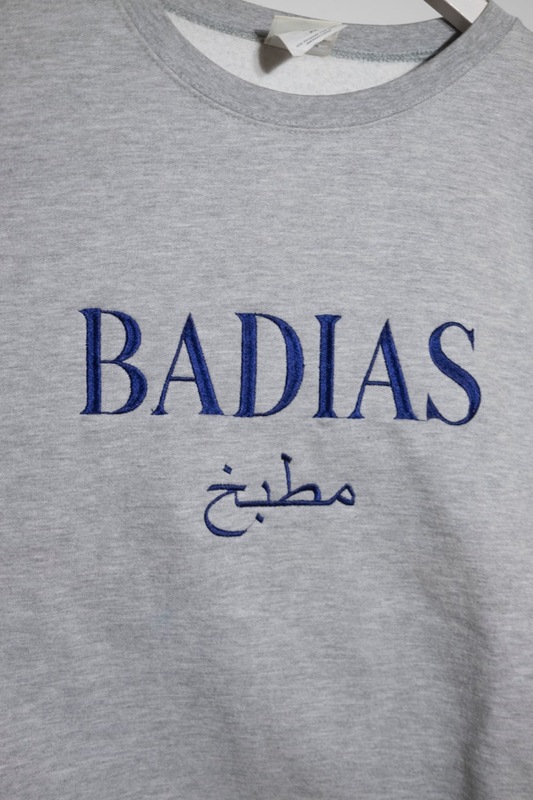 Established in 2006, deeply rooted in the Frankfurt art and club scene, BADIAS is a creative and independent gastrosopher from Frankfurt am Main, who blends a diverse cultural and conceptual mix from israeli to northern-african to american cuisines.